When it comes to DIY, sometimes just one simple tool can make all of the difference. Nick Orso spent two years researching, planning, and building an eco-friendly tiny cabin on wheels. 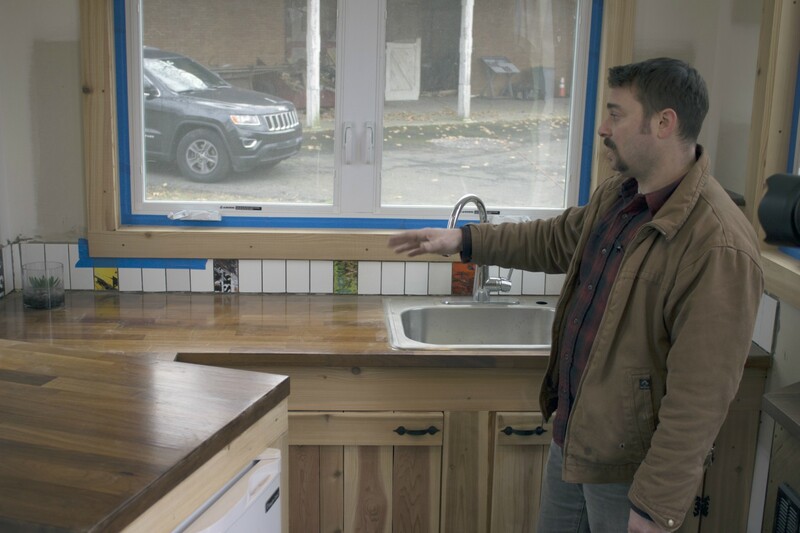 Using a simple Excel spreadsheet, he created the final design to scale for the “Tiny Cabin That Excels.” Built with reclaimed materials such as old skateboards and a salvaged horse trough repurposed as a water basin, his beautiful timber cabin – which also includes a composting toilet and tankless water heater – may be compact, but it comes with a lot of character. 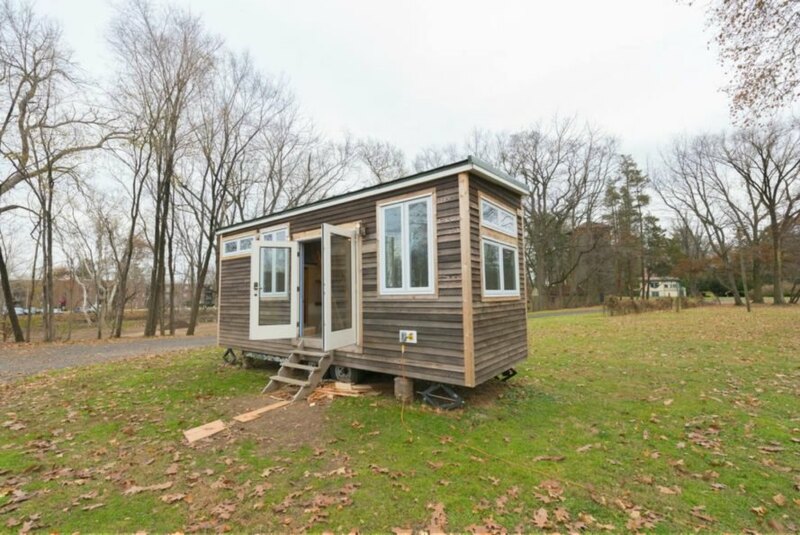 Nick Orso’s mobile cabin is located in a picturesque lot near a historic estate just out of Center City, Philadelphia. With large french doors and plenty of windows, it makes a perfect woodsy retreat. That said, since it’s built on a standard flatbed trailer, the mobile tiny home can be installed just about anywhere. Orso built the cabin using quite a few reclaimed materials, such as an old horse trough, which was installed as the shower basin. His passion for skateboarding is also reflected throughout. 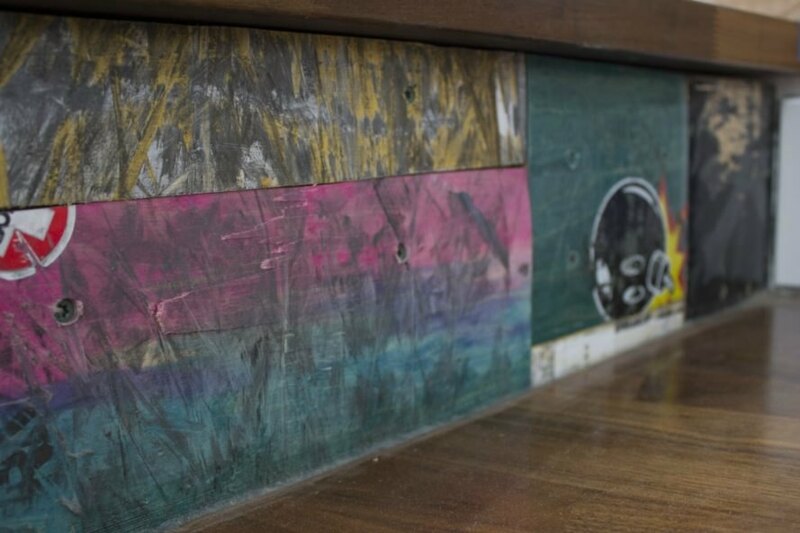 In the kitchen, for example, he lined the side of the bar with recycled skateboards salvaged from a friend’s skateboard shop. Now, almost completely finished, Orso seems a bit hesitant as what to do with his cool cabin, “I hope to put it up in the woods as kind of retreat, and then who knows what that could lead to? It was a passion I had, he explains, “and I decided to throw away my free time and sanity to achieve it”. When it comes to DIY, sometimes just one simple tool can make all of the difference. 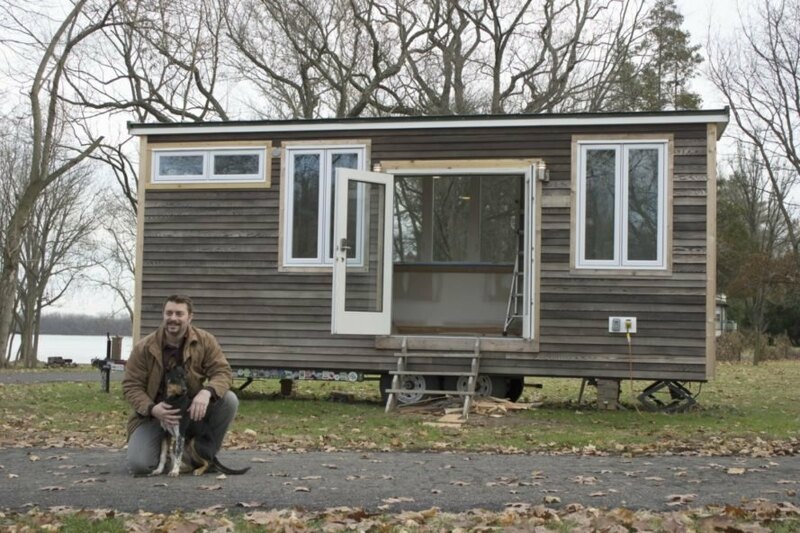 Nick Orso spent two years researching, planning, and building an eco-friendly tiny cabin on wheels. Using a simple Excel sheet, he created the final design to scale for what's been dubbed as the "Tiny Cabin That Excels". 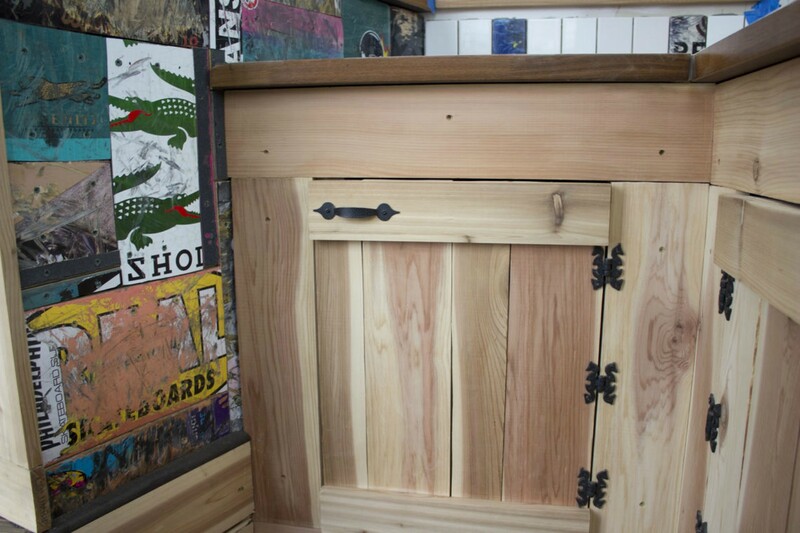 Built with reclaimed materials such as old skateboards and a salvaged horse trough repurposed as a water basin, his beautiful wooden cabin - which also includes a a composting toilet and tankless water heater - may be compact, but comes with a lot of character. 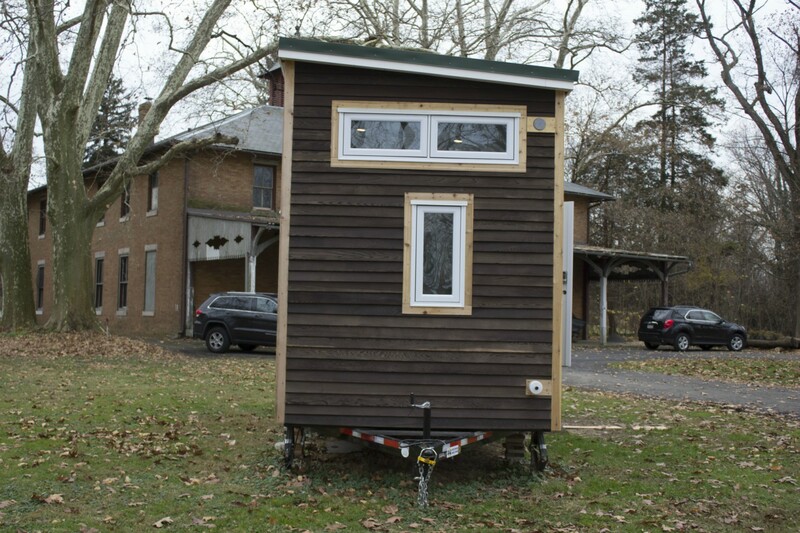 Nick Orso’s mobile cabin is located in a picturesque lot near a historic estate just out of Center City, Philadelphia. 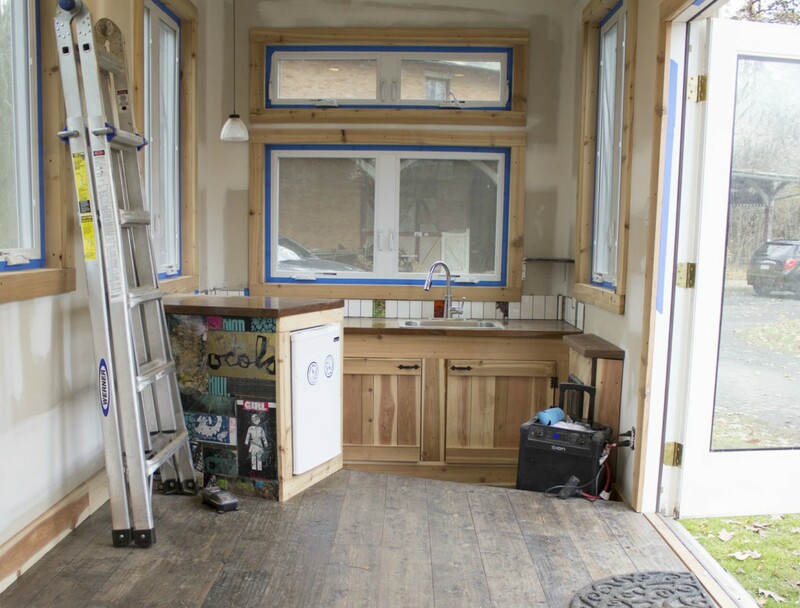 Nick Orso spent two years building the Mobile Cabin. Orso designed the cabin with help from Excel. Nick used old skateboards in the kitchen. Windows let in natural light and offer stunning views of the surroundings. Nick's passion for skateboarders is found throughout the design. With large french doors and plenty of windows, the wooden cabin is perfect as a serene retreat in the woods. However, built on a standard flatbed trailer, the tiny home is mobile and can be installed just about anywhere. In the kitchen, he lined the side of the bar with recycled skateboards salvaged from a friends skateboard shop. The design for the tiny cabin was created using an Excel sheet. 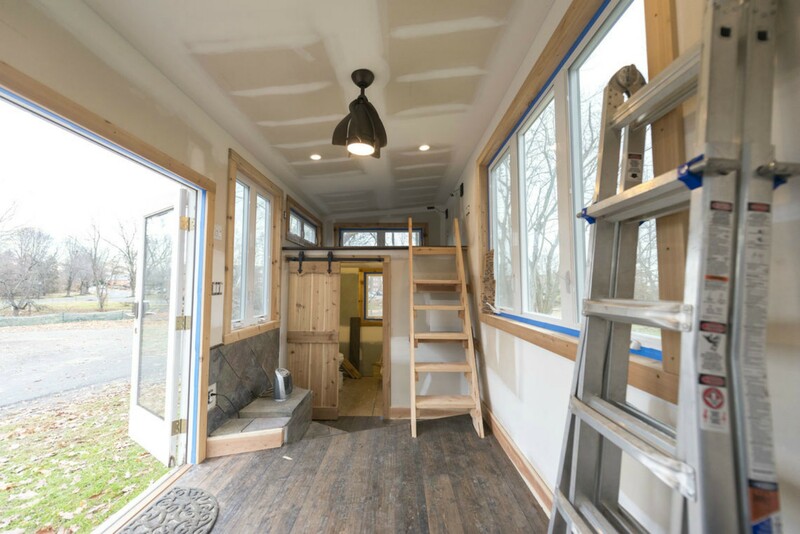 The tiny home is built on a standard flatbed trailer.